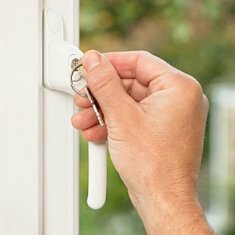 Now on promotion - buy 50 WHITE handles for £3.09 + vat each. NEW Anthracite Grey finish now available. Each handle is supplied with screws and 2 keys! 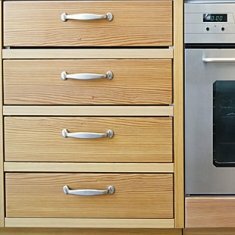 We supply plugs for the lock barrel so they can be non-locking handles. Available in spindle sizes from 10mm to 40mm. 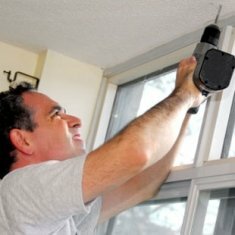 Easy to handle and to install. This is a firm customer favourite when it comes to replacing your espag window handles and on a budget! There's nothing wrong with it and it comes with a few more features that are really useful. Take for example the fact you get two keys per handle so if you are only buying one or two this is really useful although a houseful will represent a lot of spare keys! 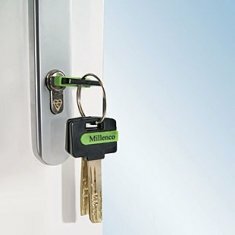 You will also get a green and a black push in button for the lock cylinder so that keys can't be used, and the handle becomes visible with the use of the green cap where fire-escape is important or designated in the room. 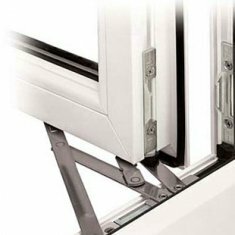 This budget espag window handle is made from an aluminium alloy and designed by our friends in Germany and made in China. It does what an espag handle should do and our customers are yet to advise of any failures after 3 years of selling this product (February 2016). So what you get is a well engineered product with a locking key, egress fire button and two keys. What is more you also get a range of spindle sizes to choose from; 10mm up to 40mm to accommodate most sizes found in the UK. 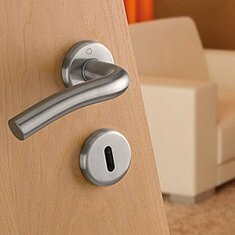 We generally hold very good stocks of this espag window handle which enables us to sell them at a more budget level. Made from an aluminium alloy with a steel spindle. 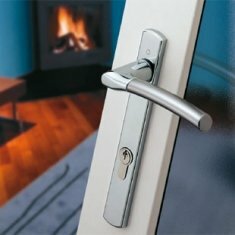 The following special offers are available to you when you buy the W91 Espag Window Handle. 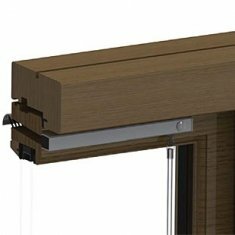 The discount for the special offer will show in the cart if both the W91 Espag Window Handle and the special offer product are added. Great price for budget handle, didn't expect the quality that it does have. Ordered in bulk. Worth the money and the amount of money saved was also good when I brought in bulk.